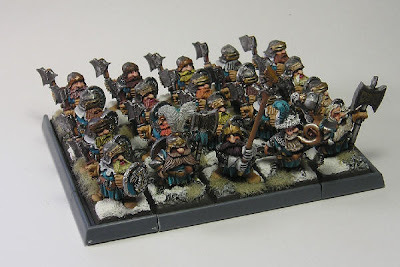 The shields are not original, they are the griffin motif from the shield sprue included in the plastic dwarf warriors box set pre-2008. The bases are 20mm slotta bases from GW but have a small magnet glued underneath, I get all my magents from this guy - great fast service and a huge range of sizes. 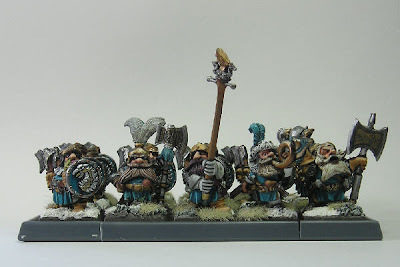 The movement tray is constructed exactly as for the Grenadier FW Dwarfs I showed previously, and the snow, rocks and flock are identical too.